SPEARFISH, S.D. 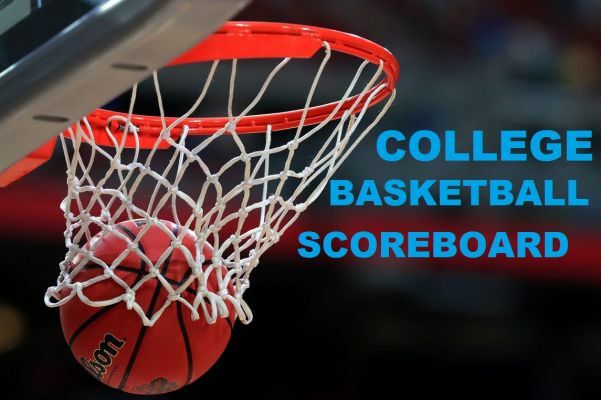 – Dez Stoudamire scored 25 points, as the Black Hills State University men's basketball team took down the University of Colorado at Colorado Springs, 79-76, on Saturday evening. The Yellow Jackets have now clinched a spot in the RMAC Tournament. Stoudamire led the Yellow Jackets (15-10, 14-7 RMAC) with 25 points and eight rebounds. The senior made five three-pointers, and had 20 points at halftime. Tyler Oliver finished with 15 points, while Sava Dukic added a career-high 12 points. Meanwhile, The Black Hills State University women's basketball team defeated UCCS, 72-57, to complete a weekend sweep on Saturday afternoon. The Yellow Jackets sunk 15 three-pointers for a new season high. Racquel Wientjes led the Yellow Jackets (16-10, 12-9 RMAC) with 19 points, while Julia Seamans totaled 12 and Abby Switzer added 11. The South Dakota School of Mines handed the Colorado School of Mines their first RMAC loss of the season with a 67-58 victory. Logan Elers led the Hardrockers with 20 points. The Lady Hardrockers also got a victory, as they hung on to beat the Orediggers 56-54. And, in Brookings, Mike Daum came on late, scoring 25 points as South Dakota State rallied past South Dakota 94-89 Saturday, giving him 3,006 for his career. Daum is among just 10 players to score 3,000 points in Division I college basketball history. Upset-minded South Dakota scored 55 points in the first half and held onto the lead halfway through the final period until Daum scored seven in an 11-2 South Dakota State run. He converted a 3-point play to lift the league-leading Jackrabbits into a 75-74 leads with 8:15 remaining. The teams swapped one-point leads twice more before Daum's leaner in the paint bounced off the back iron and in, giving South Dakota State (23-7, 13-2 Summit League) the lead for good at 86-85 and lifting him to 3,000 points. He ended the game with six straight free throws. SDSU's three seniors — Daum, Tevin King and Skyler Flatten — combined for 65 points, King with a career-high 22 and Flatten with 18 and four of five 3-pointers. Cody Kelley led the Coyotes (11-16, 5-9) with 21 points, 19 in the first half when the team shot 65 percent from the floor and made 11 3-pointers. Triston Simpson added 19 points.